I was driving around town the other afternoon listening to sports talk radio when I heard a random caller complain about how the NFL had it in for Detroit. The reasoning behind this man’s argument was that, in consecutive weeks, the league had suspended defensemen from his beloved Lions for stomping on opposing players while they lay defenseless on the ground, as if that’s some sort of acceptable behavior. Earth to caller… it’s not. Well, maybe in Detroit it is. 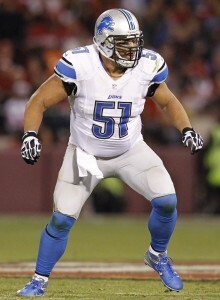 In Week 16, Lions center Dominic Raiola was suspended for the final game of the season for stomping on the ankle (and apparently trying to injure) Ego Ferguson, a defensive tackle for the Chicago Bears. This week, for their first playoff game, the league suspended Ndamukong Suh for stomping on the leg of Packers quarterback Aaron Rodgers. Stupidity reigns supreme in the Detroit locker room. Next thing you know, they’ll be looking to trade for Johnny Manziel to seal the deal. Seriously, when are these guys going to grow up and who the hell is captaining this team? The league is already violent enough, the last thing the game, or its image, or Ndamukong’s conscience for that matter, need is an intentional injury that ends the career of another. Of Suh, Raiola said that that late in the game, there’s no way he would have done something like that on purpose, like the time on the clock matters in the slightest, almost implying that in the earlier quarters he would have. Either way, it’s boneheadedly sweet of Rioala to come to his teammate’s defense. They can share fines together. I commended the NFL’s decision to reprimand both players for their indiscretions if nothing else in the name of sportsmanship. Lord knows the league struggles with its image enough. Suh has since appealed his suspension and won. Get this. He told the league office that he had “cold feet.” Seriously, Suh’s defense is that, in the cold Wisconsin weather, his feet had gone numb. Apparently the league is dumber than the Detroit Lions or perhaps their collective brains have gone numb. I’ve heard of that as an excuse to not get married but to get out of a league suspension? That’s just rich. But that’s not really the point here or rather it’s just one of many. Whatever happened to not intentionally trying to hurt your fellow man? Is that concept so far gone? I understand that football culture is an entirely different animal but there can still be civility. Maybe Suh didn’t intend to hurt Rodgers. May he did. Only Suh knows for sure but it’s not like the guy has a history of philanthropy. The Detroit Lions travel to Dallas to play the Cowboys this weekend. Suh will be in uniform, he and his team a seven-point underdog. One of the league’s best defenses (Detroit) will be going up against one of the league’s best offensive lines (Dallas). It should be a great game. Let’s just hope no one gets hurt. This entry was posted in Featured, Pigskin and tagged Aaron Rodgers, Detroit Lions, Dominic Raiola, Ego Ferguson, Ndamukong Suh by Chris Humpherys. Bookmark the permalink. It’s been a pattern of behavior with Ndamukong Suh , but far me to suggest Goodell is as soft as a baby’s @ss , yet his leadership of the league hierarchy remains a joke . Had Suh broken Aaron Rodgers’ leg or ankle I guess his suspension would not only have been a forgone conclusion , but there would have been no chance of a frigging appeal . This remains the idiocy within the NFL , its lack of leadership , professionalism and sportsmanship both on and off the field of play. Is this really a question? Ever since they ran Bobby Layne out of town, the last fifty years of Lions’ history has been a cavalcade of stupidity. Here’s the weird thing about this incident. He was suspended for purposedly stepping on Rodgers. After appealing that his feet were too frozen to feel anything and being re-instated on the basis of that reasoning, he will be allowed to play. Then why is he being fined at all? So that he’ll remember to wear heavier sweat socks? I saw the incident. To me, he did it on purpose. Fitting way for the ‘noles’ season to end , as they were dominated by Oregon . How ’bout Ohio State with their third-string starting quarterback now laying waste to Alabama’s national title aspirations ? Buckeyes vs Ducks (Oregon) should make for a great national championship game , don’t you think ? LBJ now likely to be out for the next two or three weeks due to injury. So much for the Cavaliers dominating the Eastern Conference in the NBA this season. Who are these idiots continually buying into this crap ? Last I looked this team on paper was simply window dressing and not much beyond that behind a rookie head coach with absolutely no NBA coaching experience . Cavaliers’ and Knicks’ seasons looking somewhat over-analyzed . Derek Fisher and David Blatt really do need to take a look at themselves in the mirror …. and then ask themselves the a question . Do I really belong here in my present capacity ? Neither of the duo, I believe really know how to handle adversity at the NBA coaching level . Happy New Year to you and the immediate family . Hopefully, in 2015 , richly deserved and fulfilled ambitions for you all . I’m just looking forward to the day when I read that Suh has maimed or killed someone in his spare time and won’t have the NFL to bail him out. Suh is a moron and an animal. Whereas the NFL is an openly criminal enterprise. I recall thinking some years ago the one of the reasons that Mike Tyson was so darn good of a boxer is that he is really but a quarter step away from being an outright animal. Years later he bit off part of Holyfield’s ear and all of the people who heard my earlier ‘animal’ rant chimed in to congratulate me on predicting the future. Suh is next… wonder who will get bitten? Or clawed? Or maimed? Or how much time will need to be on the clock for the NFL to accept the cold feet defense? I wonder who interviewed Suh during that appeal. Did Goodell have any say in the matter. I do believe Suh’s contract is up. It’ll be interesting to see what happens with him in the off-season. I wasn’t watching the game, I only saw the replays. Kind of surprised the NFL backed off on this one. I’m guessing they have their reasons. Florida State had every opportunity to win that game. Remember, they were only down by five at half, turned the ball over on downs early when they could have had a touchdown and they picked Mariota late. The game was theirs for the taking. Just not in the second half, he he. And re: Blatt, I have this suspicious feeling this is going to end badly for him. Why do you have a picture of Kenny Rogers as your icon? Openly criminal enterprise, Tree. I like it and can’t disagree. The fallout from the loss to Oregon will have some serious reverberations within the FSU program . The ‘noles were far too complacent , went in thinking the defense would hold and the offense would simply outplay the Ducks . Well , the wheels on that bus came right off from the start , as Marcus Mariota and his teammates were the better prepared team and actually ready to play , and it damn well showed. In the case of ‘bama and the Buckeyes , it was about Urban Meyer getting one over on Nick Saban and something of an @ss kicking ensued . 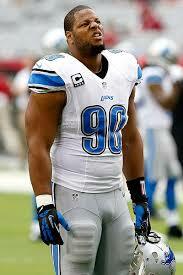 Ndamokung Suh remains a damn moron . I don’t know how Jim Caldwell as the head coach, can still stand behind the player and believe him to be damn well mature, actually showing growth as a player and as a human being . Rex Ryan, a possible candidate for the vacant Niners’ head coaching position ? WTF is in the water in Santa Clara County and the greater San Francisco area ? GM Trent Baalke and team owner Jed Yorke must have drank way to much of it and the damn Kool-Aid. No truth to the rumor Phil Jackson suggested he would rather be Head of Basketball Operations for the WNBA affiliate, the New York Liberty, than the New York Knicks . It is actually a rumor or based in fact ? Inquiring minds need to know ? LOL,LOL,LOL !!! #1 I think it is safe to say that unless you don’t know me. You know who I’m rooting for tomorrow…….Sorry to a couple of close friends of mine who are Lions fans….You know I’m rooting for you and you know who you are but Suh is GREAT and is DIRTY!!! He was in college and has gotten worse in the PRO’S…..Some stats at the bottom. The only reason the league lifted his suspension was that because if you take the best Defensive player on the team and off the field and lose the game…..you have the excuses……….But the guy answer to the league about why he stepped on Rodgers and didn’t know it was because he had “cold feet” in the weather. If anyone doesn’t think Suh did this on purpose then you think Jim Leyland isn’t a smoker!!!! The only thing that was numb on Suh was his brain…That was a blatantly deliberate attempt to injure one of the top three players in the game. Shame that the suspension was lifted. 70g’s is like a $20 to you and me. The missed game would have sent a much clearer message. I don’t think it’ll be all that bad, Al. Oregon was just the better team and again, like I said, FSU had their opportunities. That program should be just fine. Suh may or not be a moron as you suggest but he’s a talent which is why he still has a job. Let me ask you this. If you were a head coach looking for a job, which NFL vacancy would you find most appealing and why? How much do you think Suh’s absence would have affected the Vegas line? Again, Bleed, my main question is whether Detroit renews his contract. If they don’t, who will take a flyer on him and how much will they pay? And if they do pay top dollar, will they eventually suffer buyer’s remorse?